Shirley Collins was already a folk-music veteran in 1971, having released half a dozen records since 1959, including the seminal Folk Roots, New Routes with Davy Graham (1964) and Anthems in Eden (1969) with the New Music Consort and her sister Dolly on portative organ. 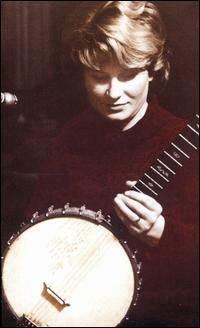 She was a – probably the – leading figure among the younger generation of folk-revival musicians. As a teenager she met Ewan McColl and Alan Lomax, with whom she went on a song-collecting trip to America. While she doubtless absorbed McColl and Lomax’s passion for and commitment to the folk music of Britain and North America, she did not contract the fatal disease of dogmatism. Collins may be emphatically a folk singer in the literal sense – a living link in Britain’s chain of song and not a singer-songwriter like Sandy Denny or a hybrid writer/interpreter like Anne Briggs – but her most celebrated recordings look forward, not backward. The third and last of the three revolutionary albums in her discography is No Roses, the first release by the newly formed Albion Country Band, a group put together by Fairport Convention bass player Ashley Hutchins, who wanted to carry on the work begun on Liege and Lief. 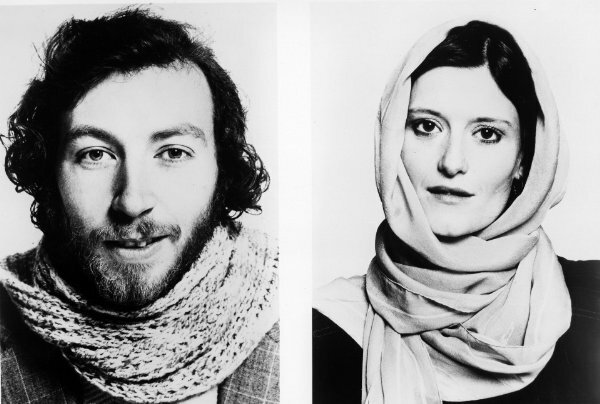 Although Richard Thompson was becoming more interested in writing original material than performing the old songs, he was along for the ride on lead guitar, as was Simon Nicol on a rhythm guitar and the Fairport rhythm section of Dave Pegg and Dave Mattacks. But also present were players of the concertina, fiddle, crumhorn, ophicleide, Northumbrian smallpipes, hurdy-gurdy, hammered dulcimer and a variety of other decidedly non-rock instruments, and a who’s who of singing talent, including various Watersons and members of the Young Tradition. All in all, there are 27 credited musicians on the record. The Murder of Maria Marten tells the story of the Red Barn Murder in Suffolk, for which William Corder was hanged. But the record is less notable for the performance of the song than for what it represents. Fairport even at their most traditional featured the band’s original material and an instrumental approach more rock than folk. In contrast, No Roses sees folk and rock trying to come to some sort of accommodation with each other, but with neither willing to cede any ground to the other. The effect is jarring. The fade out from the full-band performance (with a backbeat and chord changes) to a verse sung to accompaniment of a hurdy-gurdy drone is the crudest of arrangemental devices. Richard Thompson and fiddler Nic Jones solo over each other more than with each other, seemingly deaf to each other’s playing. The rock musicians, schooled in Chuck Berry and Buddy Holly, are forced to improvise bars of 5/4 to work with the winding, serpentine melody. So folk wins in the grand tug o’ war between folk and rock, then? Well, in this case, I think it does. Perhaps because Collins worked at the trad end of the British revival, she was happier for the rock musicians to adapt themselves to suit her, rather than the other way round. 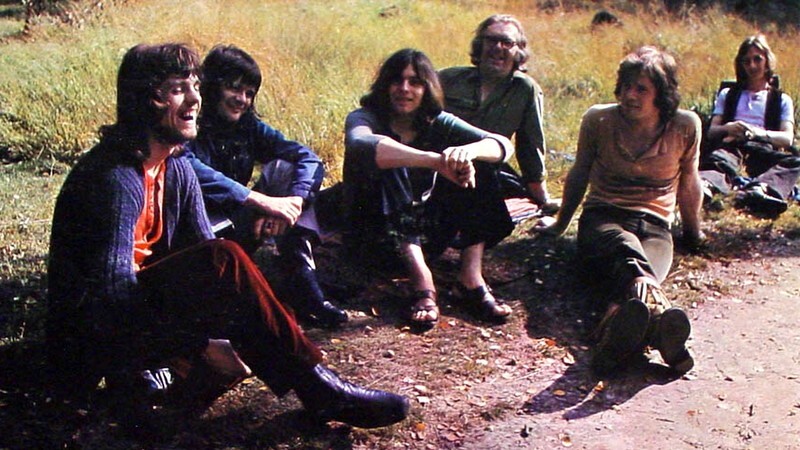 But even though primacy is given to folk over rock, few records have so adeptly blended the sensibilities of the two. Both folk and rock embody certain tensions and paradoxes. Rock music is individualistic and has from its very beginning been in cahoots with the industry in the pursuit of money. It’s usually conservative in musical form and instrumentation, and often reactionary in its social attitudes to women, gay people and immigrants. Unless a rock ’n’ roller outs him/herself as a socialist, it’s usually safe to assume they’re a free-market liberal with a small social-democratic cherry on top, or a don’t-tread-on-me libertarians. Yet rock music has often been the focus of grassroots communitarianism and activism (albeit usually at a far lower level of commercial success and social visibility than that of mainstream music-industry rock) since the first hippies let their freak flags fly. Folk music, on the other hand, has been identified with socialist, even communist, sympathies since early in the twentieth century, and going back further. Song collector Cecil Sharp was a Fabian, and folk-sympathising composers Vaughan Williams and Holst were part of William Morris’s Socialist group in the 1890s. Later figures such as Bert Lloyd, Pete Seeger and Ewan MacColl were forthright communists. Yet the impulse to conserve past traditions and big-C Conservatism are separated by a line all too easily crossed when your cast of mind is instinctively wary of progress, and so folk music has never been without its political reactionaries. So folk and rock share an internal tension between progressive and conservative insitincts, musically and socially. Perhaps it was this that facilitated the successful blend of form and feeling that we find on No Roses. 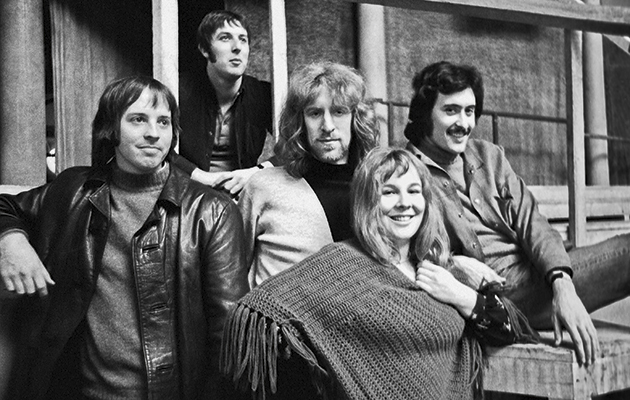 Certainly I know of no subsequent records that do what this one does so well: apart from the airy jazz excursions of the Pentangle, folk-rock has usually simply meant a band led by an acoustic guitar-playing singer-songwriter with a 4/4 rhythm section. The Albion Country Band was something very different, and for a time something very worthwhile. This entry was posted in Music and tagged Albion Country Band, communism, folk, folk-rock, liberalism, libertarianism, rock, Shirley Collins, socialism, the left, the right on April 30, 2013 by rossjpalmer.